There are so many ways to use chocolate ganache. 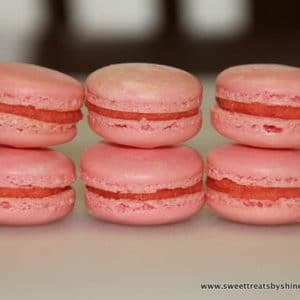 Decorate cakes, glaze éclairs, fill macarons, you name it. It also makes everything look fancy. Don’t you agree? 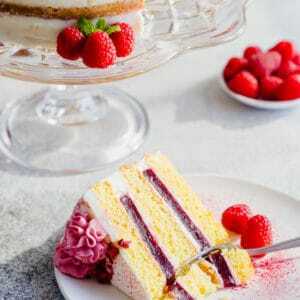 Just look at these cakes. 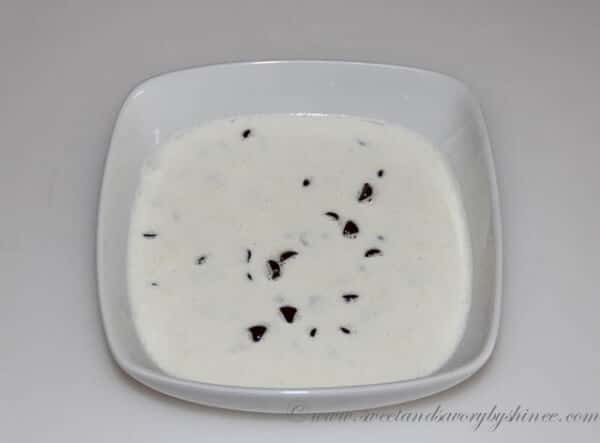 You will need half cup of heavy cream, a cup of chocolate chips, and a tablespoon of butter. In small saucepan, bring heavy cream to a simmer. Do NOT boil. Otherwise, you will burn the chocolate. 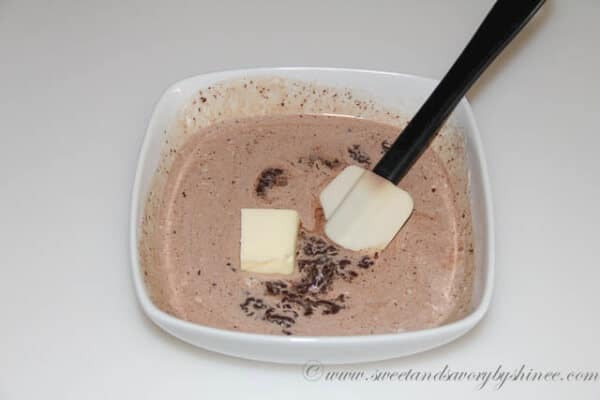 Pour hot cream over chocolate chips, and let it sit for good 2 minutes. Don’t need to stir just yet. Patience, my friend. Now after you patiently waited for couple minutes, mix well until smooth for couple minutes. 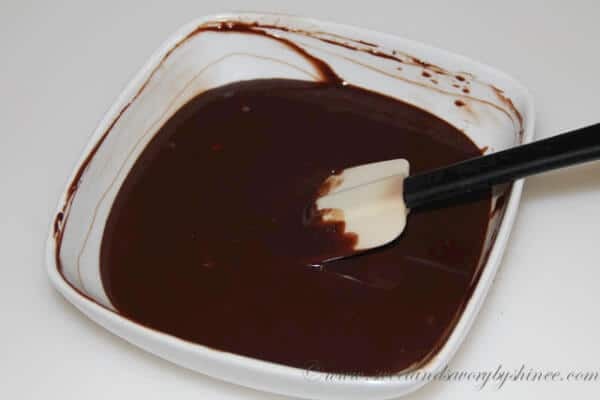 Stir in a tablespoon of butter, if desired, to make the ganache nice and shiny. 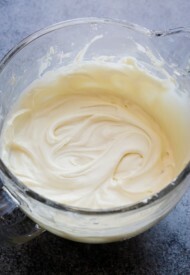 Use softened butter, it’ll melt faster and smoother. And that’s it. 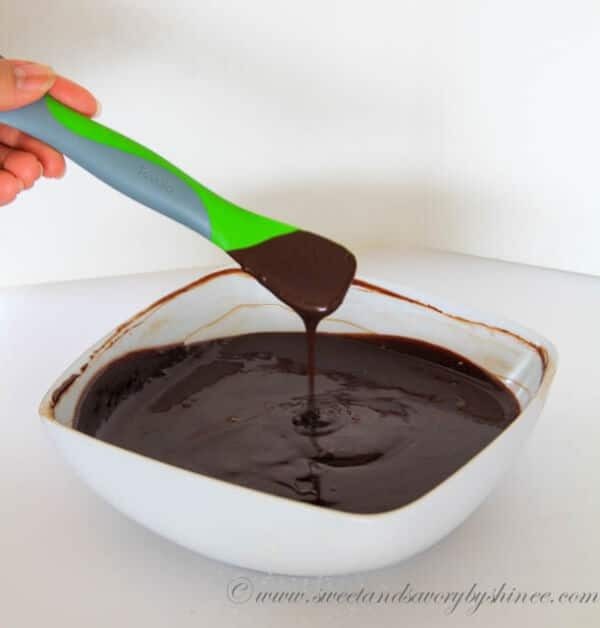 Pour over your cake while the ganache is still runny, if you want smooth glaze. 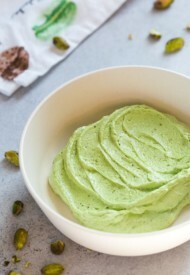 Or, you can let it cool and thicken a little bit to use it as a filling/frosting. 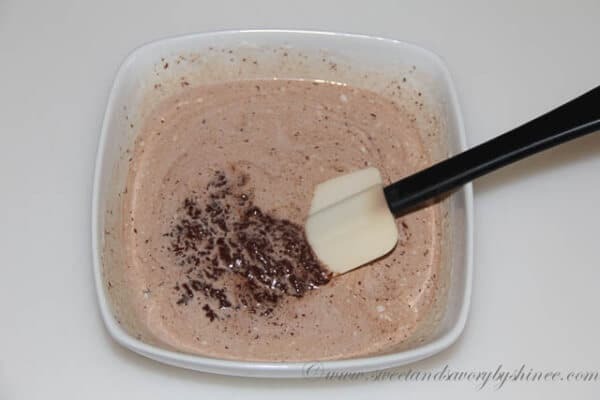 If the ganache is thickened, just microwave it for a minute on medium heat. 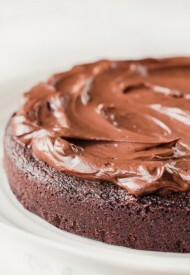 Foolproof way for perfect all-purpose chocolate ganache. 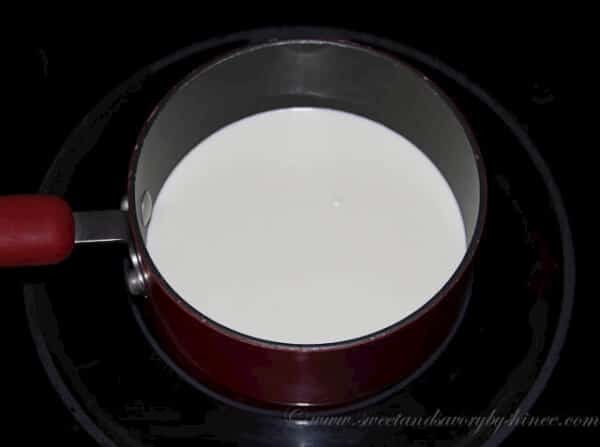 In small saucepan, bring heavy cream to a simmer. Do not boil. 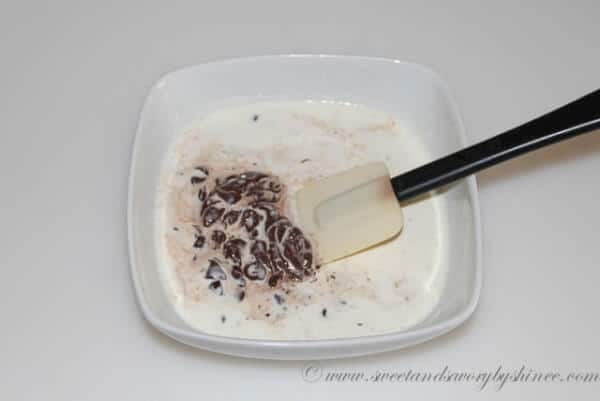 Pour hot cream over chocolate chips, and let it sit for good 2 minutes. Then mix well until smooth for couple minutes. Stir in butter to add some shine. 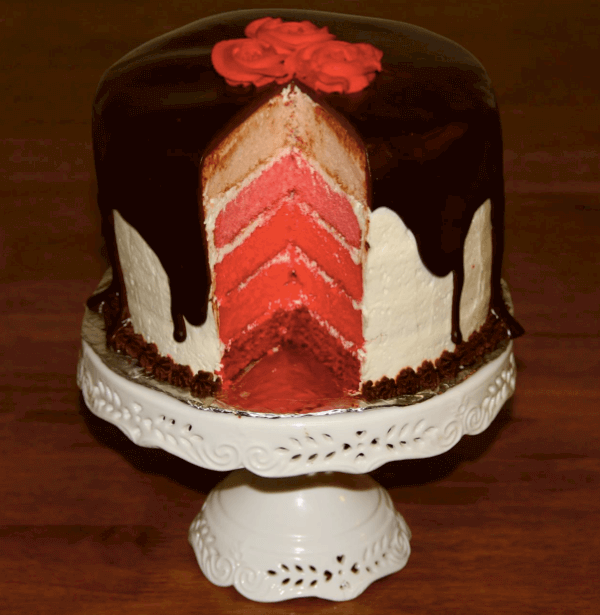 Pour the ganache over the cake while the ganache is still runny, if you want smooth glaze. Or, you can let it cool and thicken a little bit to use it as a filling/frosting. 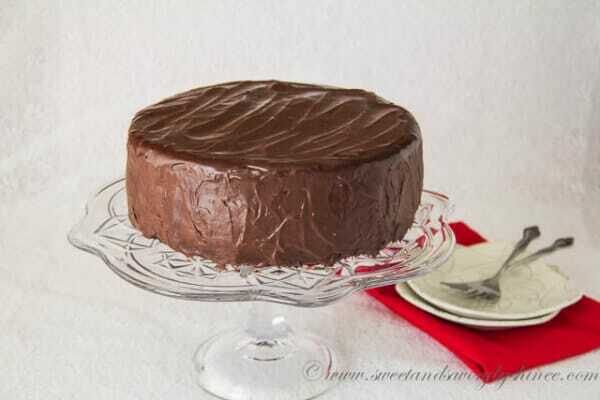 This recipe makes enough chocolate ganache to cover 9-inch round cake. 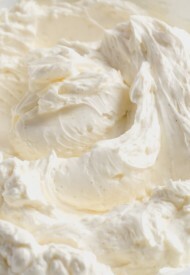 Can we use any thing else leaving heavy cream or can u tell how to make heavy cream at milk at home ??? Hi, Anoop. You can’t make heavy cream out of milk, because heavy cream was basically made from milk. 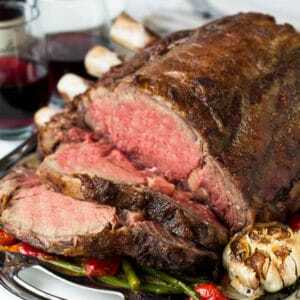 But you can try and experiment with milk instead of heavy cream. Hi – looks great! 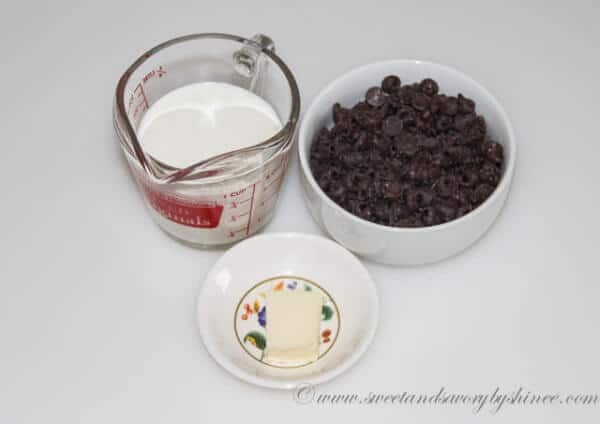 What type of chocolate chips should I use – bittersweet chocolate or semisweet choc chips? Hi, Kristin. Sorry for delayed response. Either one works just fine. 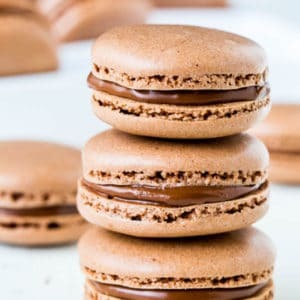 I use semi-sweet chocolate chips more often, but if I want more intense chocolate flavor, I go with bittersweet. Hope this helps. Hi, Ikonkar. I wouldn’t advise using milk. You do need the fat content in heavy cream. Maybe half and half would work better, but I’ve never tried it. Let me know if you give it a try. 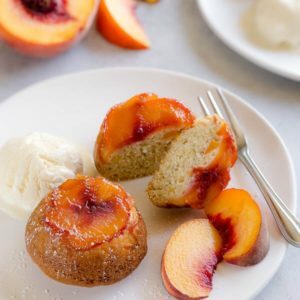 How is this used to frost the cake? Do I chill it to thicken it? Thank you! Hi Shenee, could you please advise how many grams is 1 cup of choc chips. Thanks! Hi, Dorina! 1 cup of chico chips=175gr.